Rainy days are a regular part of summer around here, with every day bringing a chance of severe thunderstorms. When the weather turns nasty, I need to find something to keep Jacob occupied while I get a little work done. From June through August. Phase 4 Films, in partnership with Redbox, is featuring the “Summer Family Fun” campaign to help keep the entire family entertained regardless of the weather. 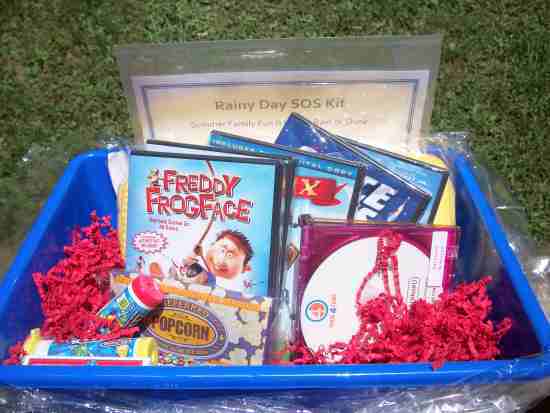 Phase 4 Films was kind enough to send me a fantastic Rainy Day SOS kit, complete with 8 different movies, a soft fuzzy blanket, candy, popcorn, and playing cards. 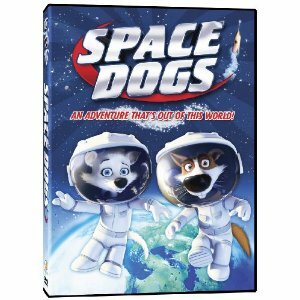 Jacob’s favorite is Space Dogs, a fun adventure based on the true story of Belka and Strelka, two circus dogs who were actually sent up into space back in 1960. The animated tale is really cute, and Jacob has watched it several times since he received it. I like it because it teaches him about teamwork and how to persevere to achieve your goals. I personally really liked My Friend Bernard because, like Sam, I’m afraid of just about everything! I know I could use someone to give me a magical pendant that helps me face my fears and overcome them. I’d even settle for just overcoming my fear of clowns at this point! Redbox and Phase 4 Films take the fun even further by giving you the chance to win great prizes, including one of three grand-prize family vacations valued at $10,000 – $15,000! Prizes include a seven-day vacation for four to the Kennedy Space Center in Florida and round-trip tickets for four to Toronto and the chance for a walk-on role on Nick Jr.’s Dino Dan show. Personally, I’d love to head to the Kennedy Space Center, I think Jacob would really love that one! He’s all about outer space these days. Of course, I’ve always wanted to visit Toronto as well. Enter the sweeps by picking up one of the “Family Fun” movies at any Redbox entering an email address at checkout. To enter without renting a DVD, to obtain more information or to check out the official rules of the sweepstakes, visit Redbox Summer Family Fun. To find a Redbox rental location near you, go to http://www.redbox.com/locations.